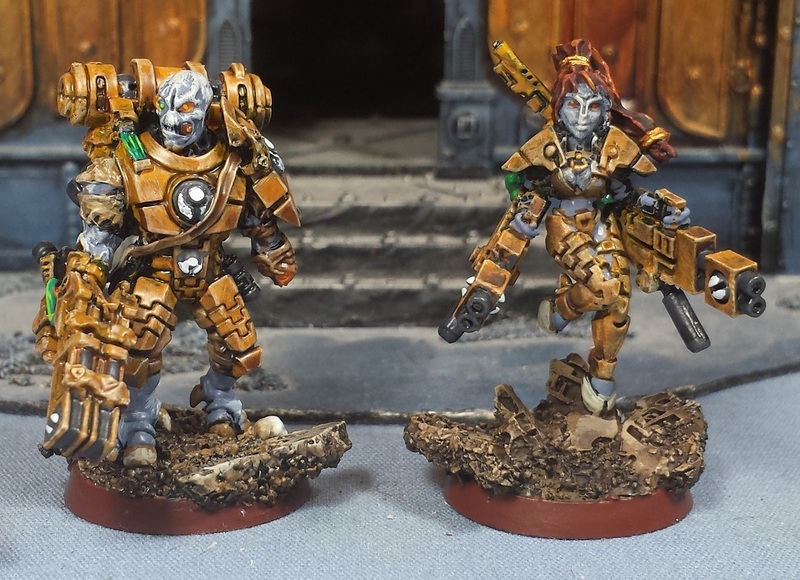 Mordian 7th Regiment: Merry Christmas! ...Or based on the minis should that be Merry Fishmas? 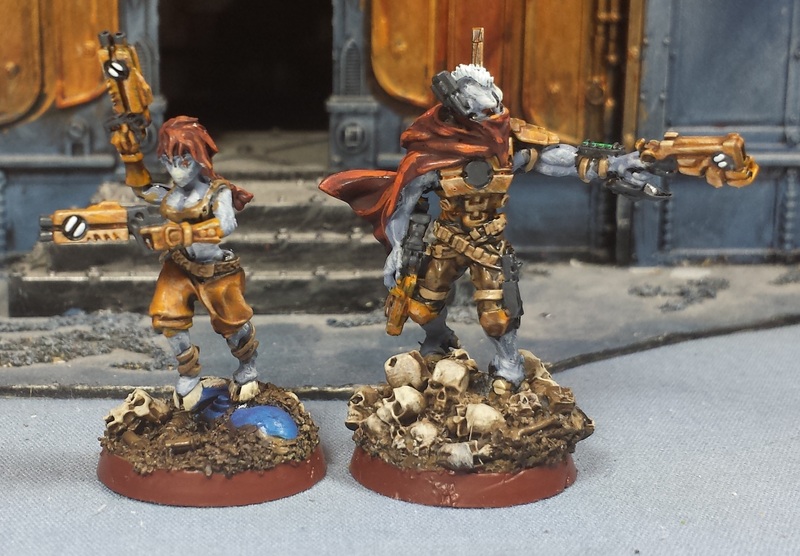 It's been hellacious in Real Life(tm) of late, but I have been puttering away at the rest of the Tau Hunter Cadre for the Inq28/Rogue Trader RPG minis when I could steal a little time behind a brush, and after a couple hours this afternoon I got 'em more or less finished up! When all is said and done it ended up being a nice 10-strong unit, that breaks down into essentially 2 mirrored teams. 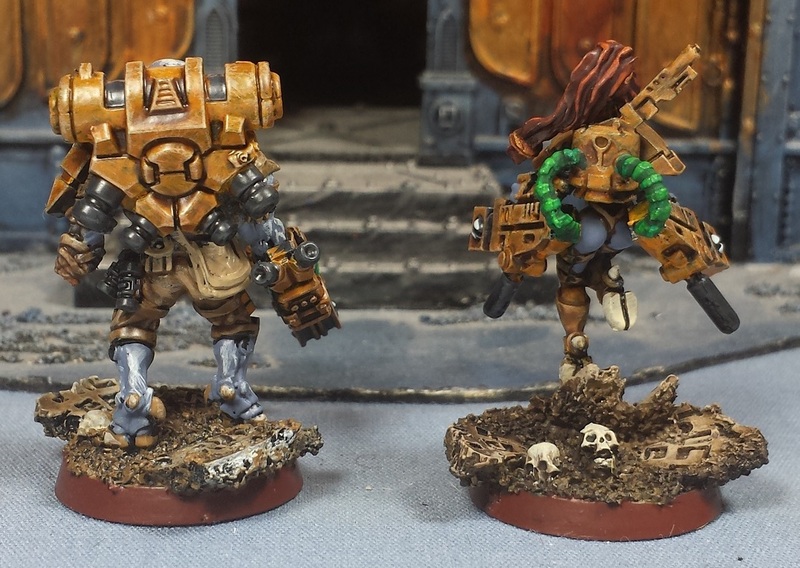 The miniatures all came from Wargame Exclusive and they all really have a ton of character. albeit a little on the cheesecake side. For leaders there's the cigar-chomping Big Shas, and a jet-pack equipped fusion gun-toting Little Shas. A pair of techs/trackers - the more cheesecake-y of the two got the 'buns out' treatment, while I went with a bodysuit for the other. 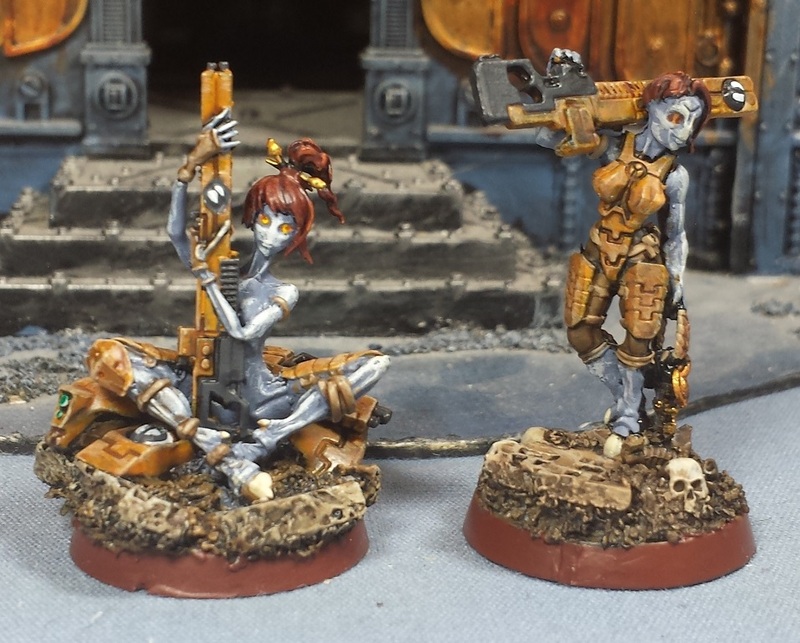 Similarly on the snipers, one is quite risque while the other is a bit more modest. The pair of gunsliners were quite dynamic, went with the red cloak on the male to tie him in with the red hair on the rest of the unit. 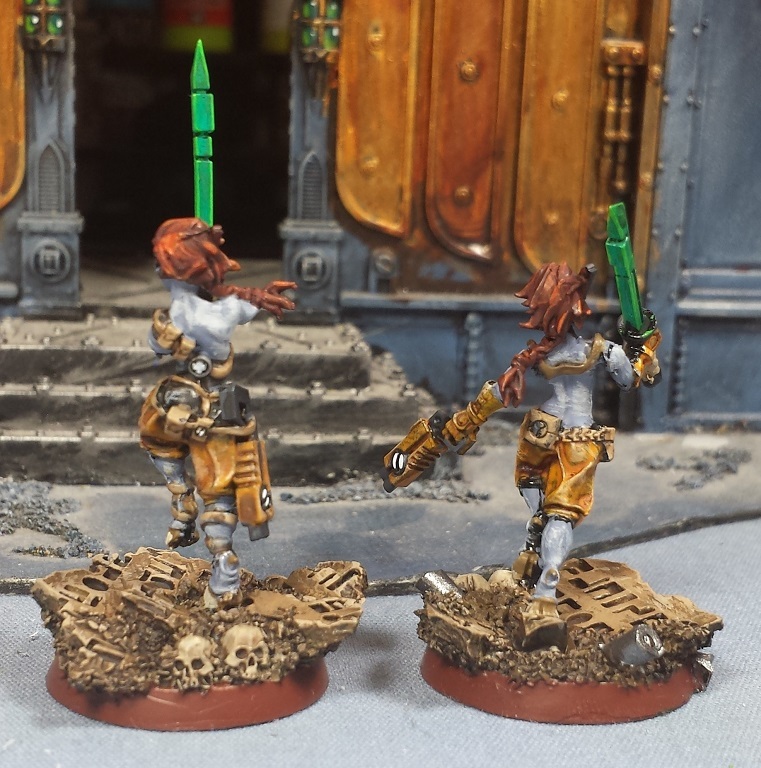 Lastly are a pair of swordmistresses, went with the jade green swords to tie the spot colors back to the other models here and there. Was pretty fun working with the muted/limited palette! 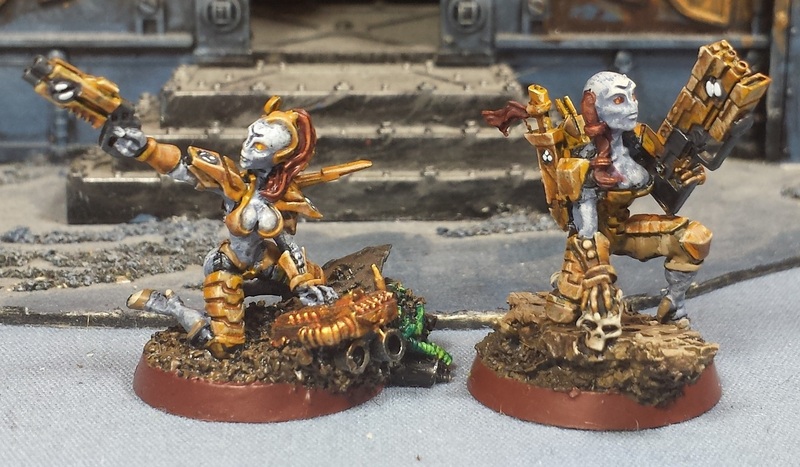 Definitely a fun little artistic palate cleanser, now it's time to dive back into painting more of the Geno Five-Two. Hope you all have a safe and happy holiday season, and a wonderful new year in 2016! 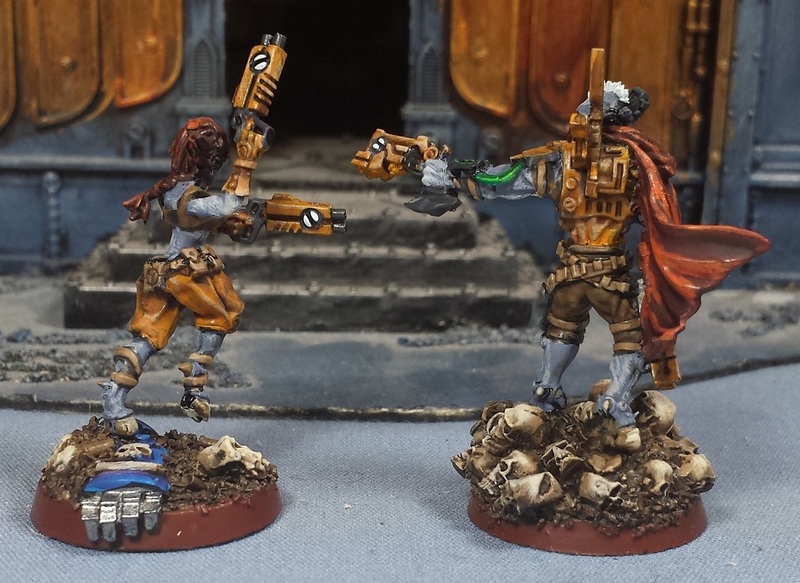 I think these are the first Tau models I've seen that make the army come to life. 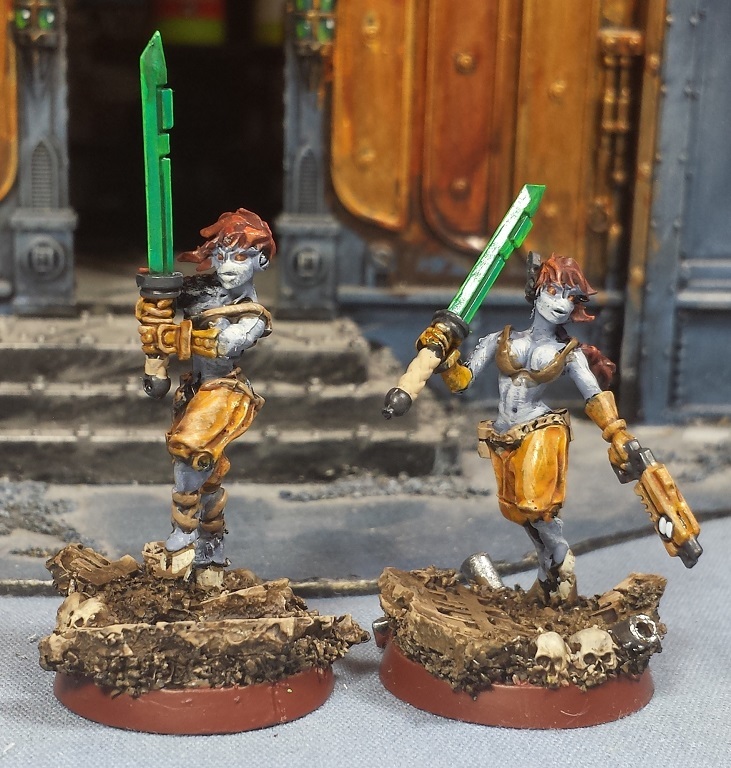 Some are risqué, sure, but they they have so much more pizazz than the standard GW ones. Nice work, man! Merry Christmas and a Happy New Year to you and yours as well! that was refreshing! Nice work sir, merry Christmas and happy new year! Man those came out great! Personally I'm down for some cheesecake if it's painted/sculpted well. Which these are. Like 2501 said, they make an otherwise mostly dull minis line way more dynamic. Merry Xmas to you and yours mate. Merry Christmas buddy. Good paint jobs, shame about the strong Stilton cheesefest but each to their own. Hope you had a great one man. @#2501: Thanks man! 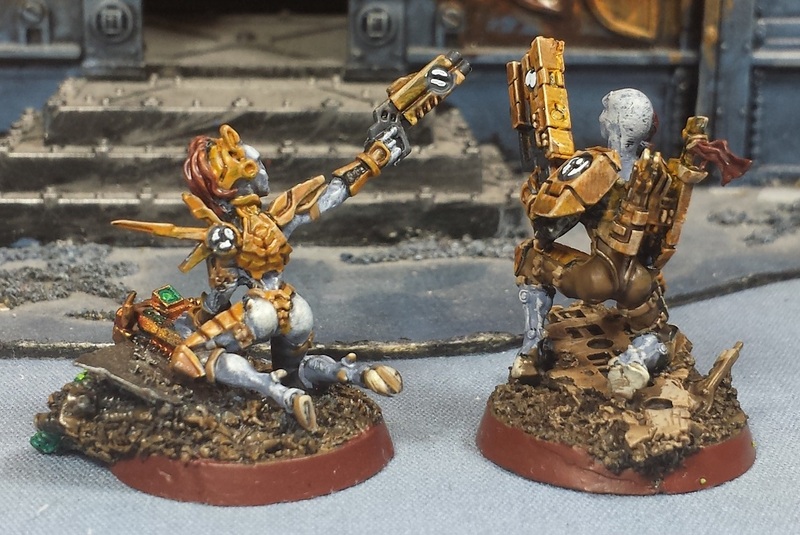 I know exactly what you mean - these are the only Tau that really made me think "I really want to paint those models". @Zab: Cheers bud, have a great new year! @Dai: Thanks very much! 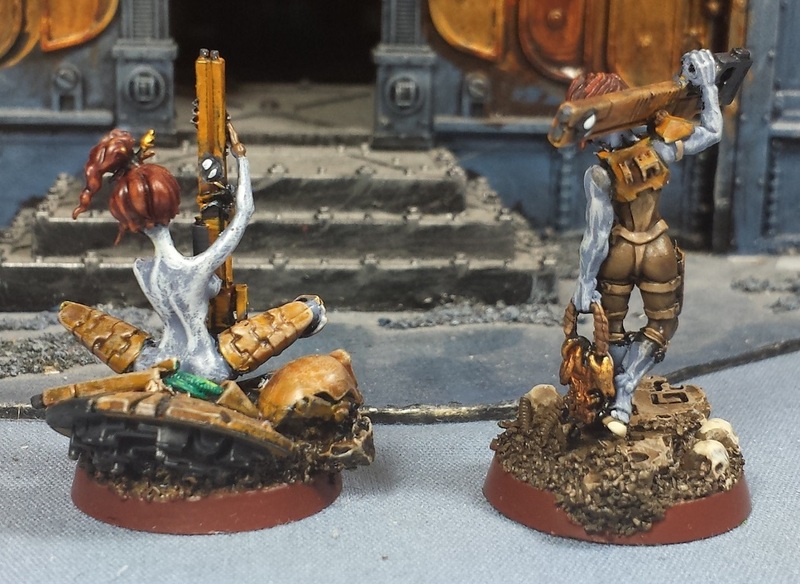 Aye, some are just on the cusp of over-the-top (well okay the sniper is nekkid), but that said the posing and faces have a ton of character to 'em! @NafNaf: Thanks man! No idea if/when they'll ever be used, but they were a fun little side project! @Siph_Horridus: Likewise, man! Aye, in general I'm not a fan of the super-cheesecake minis, but as a group they have a cool look.